Professional HVAC system design is essential for being able to manage the indoor climate of any building. Without taking into account the size, layout, structure and purpose of its environment, a HVAC system cannot effectively regulate and filter the air within a given space. As part of BSE 3D’s extensive range of building design services, our technical engineers can plan, specify and co-ordinate the installation of your HVAC (heating, ventilation and air conditioning) system to ensure that the temperature, humidity and flow of the air within separate areas of your building can be controlled quickly and with little effort. Whether you require the design of a new system or are simply looking to upgrade an existing one, our team will ensure that the size, capacity and components of your new HVAC system will meet the demands of its environment. Why is HVAC system design important? At best, an incorrectly designed or specified system can be ineffective and expensive, costing significantly more money to run while failing to properly control the air within the building. At worst, poor design can cause frequent maintenance problems and premature system failure. For example, the heat exchanger should be positioned to allow maximum airflow across it, and system thermostats should be placed well clear of air outlets or returns. It may also be necessary to include soundproofing, safety devices and other design features to a system, depending on its location. 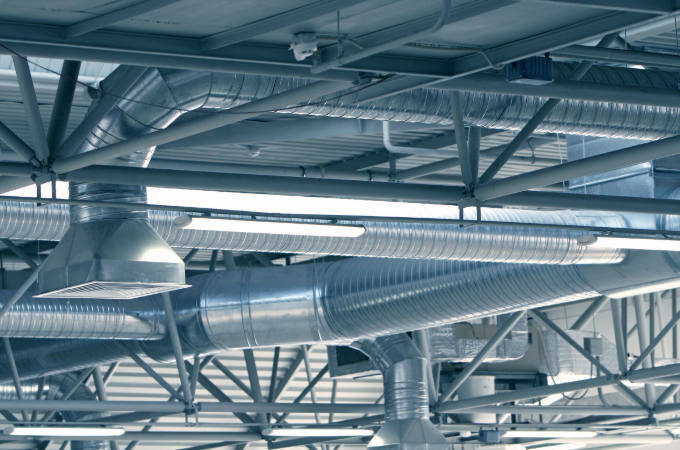 Which buildings require a HVAC system? Most UK workplaces will feature some kind of HVAC system, with commercial offices and retail units using them to regulating temperature and fresh air to keep staff and customers comfortable. At BSE 3D, we have helped hundreds of clients to design and install relatively straightforward HVAC systems for these purposes. We also have extensive experience working with more demanding environments, where specialised indoor climate control is required. For example, processing and manufacturing plants, museums, research labs, refrigeration chambers, clean rooms, marine environments and warehouses used for storing temperature-sensitive stock. Many of these projects require complex systems that maintain different levels of temperature, oxygen, particle transmission and fresh air in various ‘zones’ throughout the building. If you would like to discuss the HVAC requirements of your existing building or upcoming project, please contact one of our teams. We have offices located in London, Sussex and Ireland, with teams that would be more than happy to assist you with HVAC system design today.